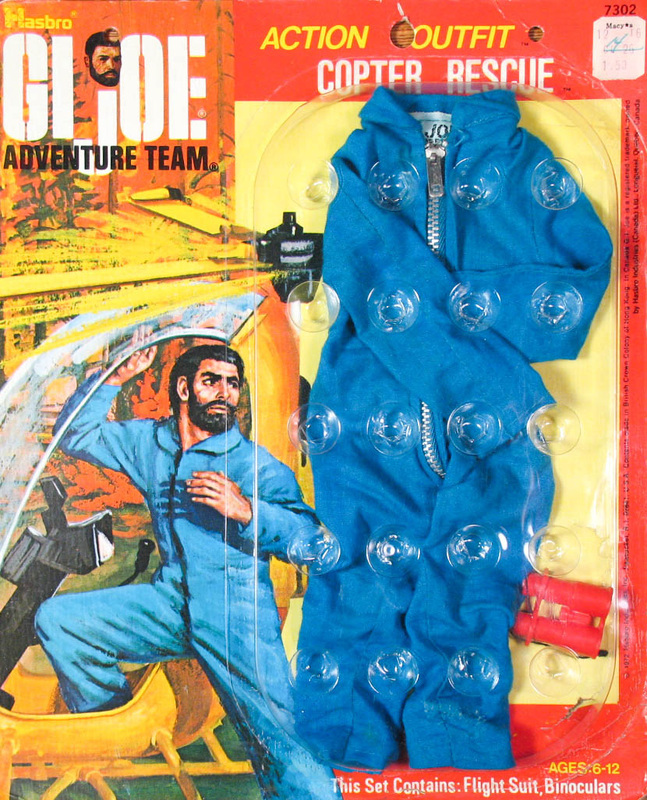 Copter Rescue (7308-6) dresses Joe in a slick looking blue jumpsuit. The set initially came with a black camera like the one initially released with the Astronaut set, but this was replaced with red or black binoculars in 1974 when Photo Recon came out. The 1973 version is immediately below, the 1974 card at to bottom of the page.